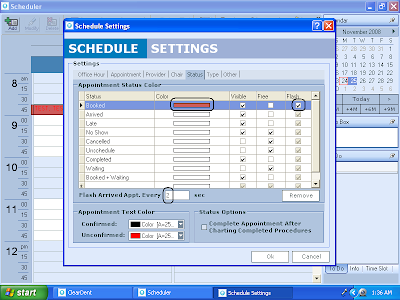 What's New in ClearDent Version 7? 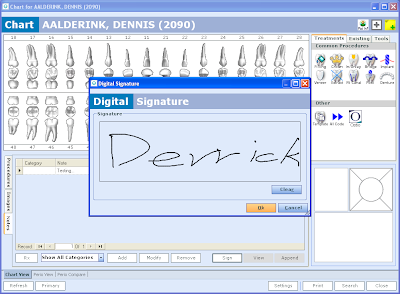 You can now sign notes, medical history, documents, and other items with tablet digitizer. ClearDent™ recommends Wacom Tablets or regular Tablet PC. Open Tooth Drawing function in the Setting. Click on the "OK" button to enable GV-Black Tooth Drawing. 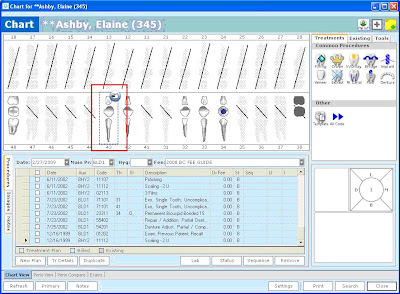 In charting, click on any tooth with treatment (Filling, Restores and Carries).You will find a GV-Black icon besides this tooth. Click on the GV-Black icon to enter GV-black tooth drawing. You can find the GV-Black form showed up. 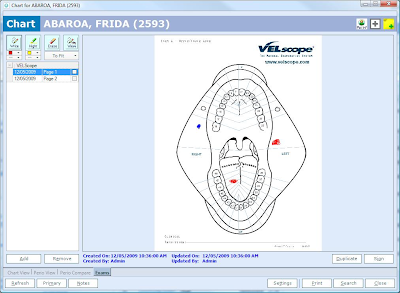 Only procedure of Filling , Restores and Carries will show up in the GV-Black tooth drawing form. Click on the parts of tooth and you’ll see the drawing on the left-top side. 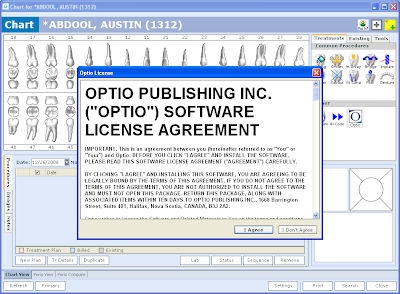 After the drawing is completed, just click the ok button. The drawing will apply to the current tooth. Select the Age By Service Date button. If you select this button on AR report, the AR will be filtered according to service date. If you select this button on AR report, the AR will be filtered according to process date. This AR report will be the same with Day End report. Now , all the ARs with a held payment will disappear from the list. In AR report, you can generate this report filtered with Auxiliaries. 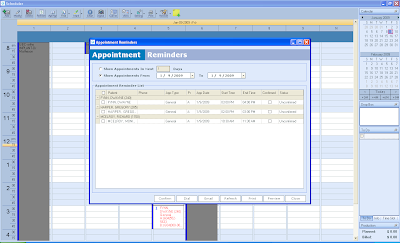 In Scheduler, ClearDent™ now allows flashing of different appointment status so that you can easily distinguish and recognize appointments. In Status Tab, select color for the appointment status you want, check the "Flash" checkbox, set the flash timing and then click OK. 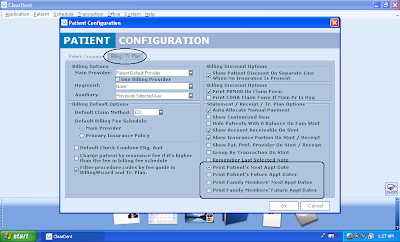 In Other Tab, set "Appt Back Color" and "Appt Border Color" to "Status" and then click OK.
From Scheduler , right-click to book one patient’s recall. 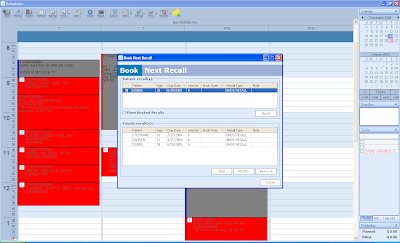 You can check one or more recalls from "Patient recall(s)" and click on "Book" to book the checked recalls into one appointment. Bottom grid shows all family recalls. You can add/modify/remove the selected family recall from here. You will find one question brought up to ask if you like to email appointment reminders to patients. Click the Yes button. The Email Template window opened. Users can change contents here. The Medical history can be managed by date. You can select the date and see the medical history. 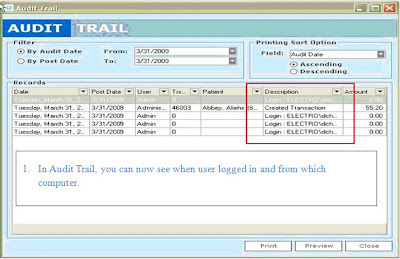 To Add a new medical history click "Add" to open the "Medical Template Manage", then Select the description and click "Select". 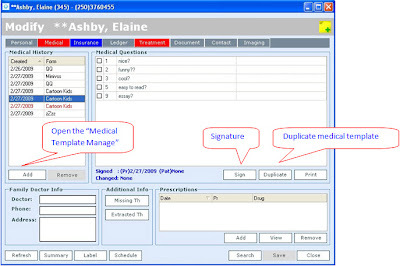 To sign the medical history click "Sign" button to sign the medical history, select "Patient" or "Provider" to do patient’s signature or provider's, at this point Digital Signature panel will show up. You can do signing here. 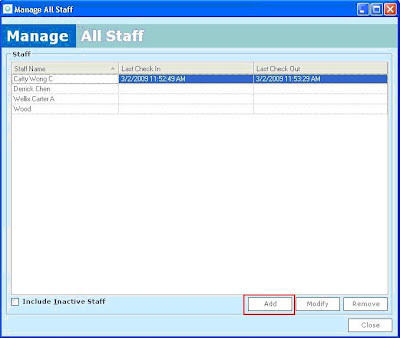 In the manage all staff form, click "Add" button to add one new staff member. By clicking the icon in ClearDent™ main screen, you will be see a list of news and announcements from ClearDent™. There are other new features that we haven’t had a chance to mention here. If you would like to know more, please feel free to contact us at 1.866.253.2748 and speak to your sales representative. Sometimes you might get an error reporting that you have reached the maximum number of instances of Adobe Reader allowed while working in ClearDent or some other error pertaining to Adobe Reader. 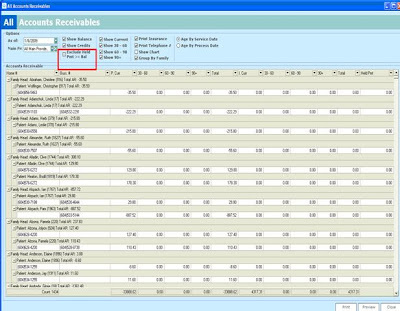 ClearDent uses Adobe Reader plug-ins for reporting and various other tasks. If you have an Adober Reader that is earlier than version 9.0 you may receive these errors. An informational window will open up that displays the version of Adobe Reader you are currently using. Of course, should have any issues with installing or updating you can always call our support line for assistance at 1-866-253-2748 and press '2' for technical support. 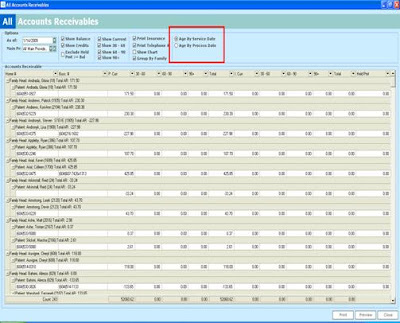 Why can I not see the providers work schedule displayed on the screen? 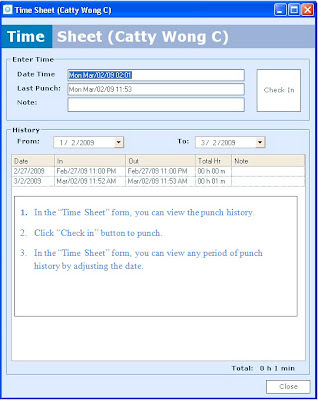 The providers work schedules should now be displayed on the scheduler.